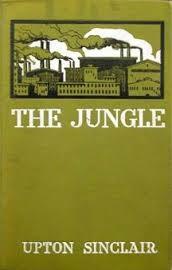 In 1906, Upton Sinclair opened the eyes of the American public to the horrific conditions in meat packing plants with his novel “The Jungle”. Sinclair laid the foundations for a respectable whistleblowing and muckraking tradition within the food industry. Sinclair originally intended for his novel to bring attention to the harsh factory conditions immigrants were routinely subjected to upon arrieal in the United States. However, the disgusting conditions of meat packaging plants is what stuck in the minds of Americans. Four whistleblowers have recently come forward in an attempt to expose what they believe to be unsanitary conditions within three Hormel factories, a company that runs some of the largest slaughterhouses in the nation. According to Tom Philpott of MotherJones, the three factories in question are a part of what is called a “pilot inspection program” run by the USDA. “In the regular oversight system, USDA-employed inspectors are stationed along the kill line, charged with ensuring that conditions are as sanitary as possible and that no tainted meat ends up being packed for consumption. In the pilot program, known as HIMP (short for Hazard Analysis and Critical Control Points-based Inspection Models Project), company employees take over inspection duties, relegating USDA inspectors to an oversight role on the sidelines,” Philpott explained. Government Accountability, a whistleblower protection group, recently released a report citing the affidavits’ of four whistleblowers. Philpott summarized the accusations of the whistleblowers. “All four affidavits offer blistering critiques of the hog version of the pilot program. Three themes run through them: (1) company inspectors are poorly trained and prepared for the task of overseeing a fast-moving kill line involving large carcasses; (2) company-employed and USDA inspectors alike face pressure from the company not to perform their jobs rigorously; and (3) lots of unappetizing stuff is getting through as the result of (1) and (2)” Philpott said. “The company threatens plant employees with terminations if they see them condemning too many carcasses or carcass parts,” the whistleblower said. Hormel has denied these accusations, and, as Philpott points out, they have referenced their dedication to food safety in their defense. Hormel is most known for producing Spam, but they also do sell other pork products, such as bacon. It can be difficult to understand where exactly bacon or other pork products are coming from, and whether or not they are being prepared, packaged and shipped in Hormel factories. That is why these accusations, if they prove to be true, are so startling. Hormel is a multi billion dollar fortune 500 company that has 40 distribution centers throughout the United States, and according to their website, more countries are able to access their products than ever before. That is why the conditions in which they prepare their food are so poor, and the fact that the USDA’s oversight powers may be shifting to employees of Hormel themselves is more startling still. Without question, the conditions in which food is prepared have gotten much better when compared to the factories that are described in Sinclair’s novel. However, 109 years later it still takes the work of whistleblowing employees and muckraking journalists to bring to light poor working conditions within the food industry.